The American Journal of Pharmaceutical Education reports that the average indebtedness for pharmacy students has exceeded the average first year salary in recent years. Almost 300,000 pharmacist jobs exist in the U.S. and the total student indebtedness is closing in on almost $200,000, which means that collectively pharmacists are shouldering a debt burden of tens of billions of dollars. 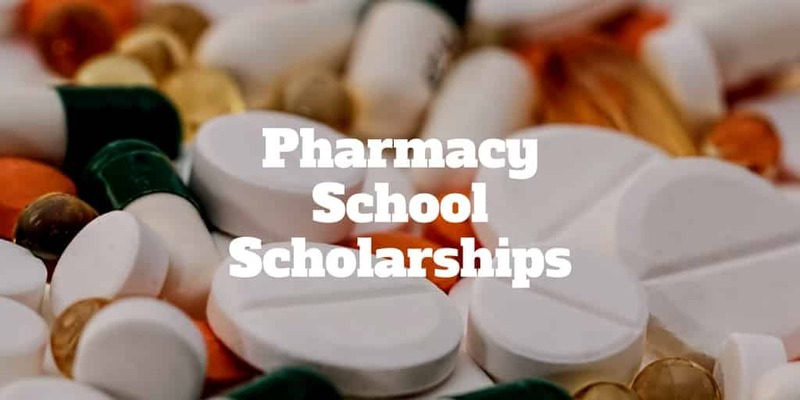 To lessen the financial obligations upon graduating, consider applying for one of the many pharmacy school scholarships on offer. Colloquially known as the Tylenol Scholarship, the official name is the Tylenol Future Care Scholarship. Each year 30 students are awarded scholarships of $5,000 and 10 students are awarded scholarships of $10,000 for combining academic excellence, community involvement, leadership, and commitment to a career caring for others. To be eligible for the Tylenol scholarship, you will need to attend an accredited institution which may be a two or four year college or University in the United States. And you must be either a student or practitioner seeking a degree to actively treat patients. As long as you have at least one or more academic years remaining and are not an employee or family member of Johnson & Johnson Consumer Inc. or McNeil Consumer Healthcare Division or affiliated companies, you will most likely be eligible. If you are fortunate enough to win, you can apply your scholarship award to tuition, fees, books, supplies, and equipment required for courses. Visit here for more information about the Tylenol Scholarship. The American Pharmacists Association Foundation Student Scholarship Program awards students who dedicate time to their school’s APhA – ASP Chapter. You will need to have a cumulative grade point average of 2.75 or higher on a 4.0 scale to be eligible to apply. And while you don’t have to hold a leadership position in your chapter of the APhA Academy of Student Pharmacists, you do need to be an active member. Plus, you must complete at least one academic year in the professional sequence of courses. For more details about the APhA Foundation Student Scholarship Program, visit this link. The ASHP Student Leadership Award Program recognizes students with demonstrated leadership qualities who have an interest in pharmacy practice. A maximum of twelve awards are handed out annually to students who represent the best attributes of ASHP members and have a proven history of accomplishments. Only pharmacy students in their second to fourth years are eligible to apply. You must also be a full-time pharmacy student enrolled in a professional Doctor of Pharmacy program at an ACPE-accredited college of pharmacy. Applicants must have a cumulative GPA of at least 2.75 to apply (based on a 4.0 scale or equivalent). For more details, visit this website. The NCPA Foundation is a non-profit, philanthropic 501(c)(3) organization that relies on support from individuals and corporations to help develop future leaders and entrepreneurs in the pharmacy profession. The NCPA Foundation provides scholarships to pharmacy students, research programs dedicated to improving the success of independent pharmacy and patient care, aid to community pharmacy owners, and community health awareness programs. The core focus of the non-profit is to stimulate pharmacy ownership and entrepreneurship in pharmacy students, provide educational support to pharmacy students and independent pharmacies in the event of natural disaster, support research to advance the competitive status of independent pharmacies, and educate communities to the benefits of independent pharmacy services. The NCPA Foundation Scholarship awards students with distinguished leadership qualities, an interest in pharmacy management, and a demonstrated history of academic excellence. The American Foundation for Pharmaceutical Education has a mission to advance and support pharmaceutical sciences education at U.S. schools and colleges of pharmacy by funding first year graduate school and pre-doctoral fellows in the pharmaceutical sciences, pre-doctoral fellowships in the clinical pharmaceutical sciences, and pharmacy faculty development research grants. AFPE First Year Graduate Fellowships are designed to encourage students to pursue careers in pharmaceutical sciences. They support leading Pharm.D degree candidates in the first year of graduate school. AFPE Pre-doctoral Fellowships in the Pharmaceutical Sciences and Pre-Doctoral Fellowships in the Clinical Pharmaceutical Sciences awards exceptional Ph.D students to help them focus on industry-oriented subjects, such as drug delivery, drug development, clinical trial design and management, manufacturing quality control, and pharmaeconomics. AFPE Pharmacy Faculty Development Fellowships in Community Pharmacy Practice and in Geriatric Pharmacy support full-time PharmD and PhD pharmacy college faculty members as they pursue six month projects designed to benefit the pharmaceutical industry, pharmacy industry, science education, and national health. RESPy award winners are nominated by Pharmacy School Deans or School Faculty & Administration with endorsement from a Dean. The award honors extraordinary humanitarian work in the community by pharmacy students. Each year, Pharmacy Times® awards students a scholarship of $1,000, a featured article about their service, a hand-crafted mortar and pestle, plus an invitation to the Walmart pharmacy intern program. Indian Health Service Scholarships are available to American Indian and Alaska Native students. They are designed to educate and coach health professionals for careers in Indian Health programs. American Indian and Alaska Native undergraduate students can receive financial aid provided that they are descendants or members of state-recognized, federally-recognized or terminated Tribes. Candidates must be enrolled in eligible courses that lead to qualified health professional degree programs. Recipients of the Health Professions Scholarship are obliged to fulfill a service commitment in full-time clinical practice upon completion of post-clinical or academic training. The scholarship covers tuition, fees, and living expenses. If you have applied for scholarship and grants, and taken advantage of federal aid, consider leading private lenders like SoFi and CommonBond, who offer highly competitive rates. ‹ Litecoin Vs Ethereum: Which Cryptocurrency Is Best?